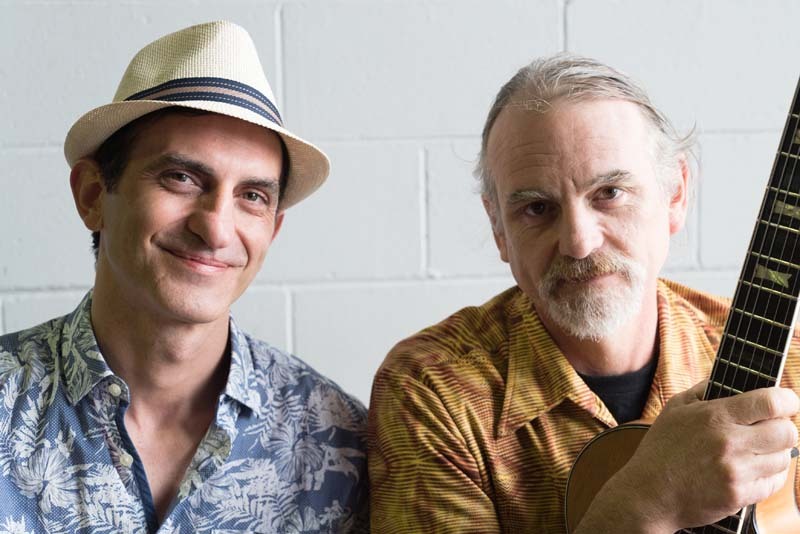 Paul and Mircha share their love of gypsy swing/jazz guitar as made famous by Django Reinhardt, as well as playing Brazilian choro and Hawaiian styles. Paul is a classically trained guitarist and has played with the likes of Monsieur Camembert. Mircha has extensive experience playing with The Gypsy Cats and Forrobodó (NE Brazilian music). Paraguayan virtuoso classical guitarist and composer, Agustín Barrios is regarded as one of the greatest performers and most prolific composers for guitar. Hear some of his traditional and neo-romantic classical works interspersed with details of his fascinating and eccentric life. Enter Hawaiian guitar paradise! Originating around 1900 in Hawaii, the steel guitar became part of the Hawaiian-music craze sweeping the America continent in the 1920s, when a radically new sound and technique was born.